Very Good. 0718143361 inscription on first page. I have been reading this book in my spare time for the past few weeks. It is extremely hard to put down! From the first page it engages you in a variety of situations that give you the view of the men of the law, rather than the CNN point-of-view. It is a great book and I would recommend it to anybody that is interested in the concept of guns, guts and glory. This book was great from the first page to the last page!!! I did not want to put it down and finished it easy in two days. 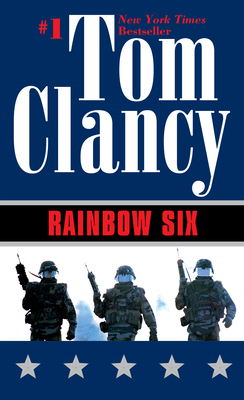 If you know and love Tom Clancy, you have to read this book. I recommend it to anyone who loves a fast paced and gripping book. and would recommend it to anyone intrigued with how special forces operate and train. WARNING: I may be a little (or a lot) biased, but I avidly play Rainbow Six on the Xbox360 gaming console as well, and while reading the book I could apply what I was reading with how the game plays out.